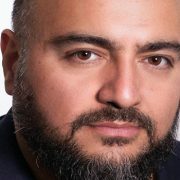 Previously CEO of HeavyWater Inc., the mortgage-focused Artificial Intelligence (AI) provider recently acquired by Black Knight, Inc, Soofi Safavi now serves as Managing Director of Black Knight’s Applied AI group, bringing leading-edge AI and computing capabilities to the Black Knight product portfolio. With over 20 years of experience in mortgage and banking technology, and deep expertise in IT strategy, architecture and machine learning, Soofi is uniquely suited to discuss AI’s role in the mortgage industry. Q: It seems as though Artificial Intelligence (AI) has resulted in incredible advancements across so many industries, but we haven’t seen the same in the mortgage industry. Why is that? SOOFI SAFAVI: I would say that we simply haven’t seen it –yet. The mortgage industry is a very complex environment that requires vast amounts of expert knowledge to navigate effectively. That is why there is still so much work to be to be done despite a never-ending quest for increasing efficiency through technology. AI will be key for not only increasing efficiencies, but also identifying and eliminating deficiencies. 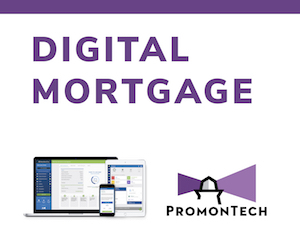 Every day in our industry, we have thousands of experts leveraging technology to perform a series of activities and tasks that are essential to the mortgage process, from origination through servicing. The goal with a mortgage industry-focused AI is to capture that knowledge and replicate it within algorithms via machine learning. From a high level, AI is about using computer systems that are able to perform tasks normally requiring human intervention. Machine learning is a type of AI that allows computers to learn without being explicitly programmed. It is a technology that uses algorithms to learn from and make predictions on data. It reads, comprehends and draws conclusions based on context to mimic human thinking and build expertise over time. An AI that can learn from the experts who are currently performing all of the many tasks involved in the mortgage process can offload much of the manual effort to technology. The mortgage professionals doing that manual work today can then shift into a different role, one more suited to the knowledge worker-based economy of the 21st century. They become teachers and guides of the AI, and make the decisions only humans can make. Q: That raises an interesting question. There is a lot of uncertainty associated with AI. Many feel that individual’s jobs may be at risk if AI takes over much of the manual processing associated with the mortgage industry. What would you say to these people? SOOFI SAFAVI: My answer would be twofold. First, I’d say look to history. Repeatedly in our industry – and others – the introduction of new technology has spurred fears of machines replacing people. When automated underwriting systems first came on the scene, many underwriters feared for their jobs. In fact, what they did was reduce friction in the mortgage process, allowing for what had been an entirely manual process to become more streamlined. The end result was increased efficiency and throughput, calling for far moremortgage professionals, not less. While AI is light years ahead of automated underwriting, I expect the same will be true today. In the current environment, there is a significant amount of rigidness in mortgage origination, and people tend to go through this process a handful of times in their life. The potential for reducing friction in the mortgage process has increased exponentially with the advent of AI. What has for many years been a long, exhaustive and laborious process – on the part of the homebuyer as well as those of us in the industry – will see reduced friction via the automation afforded by AI. An AI that has been taught to perform traditionally repetitive functions can do so more quickly and accurately than traditional methods. For example, verifying income, assets and insurance coverage; all traditionally manual activities that take hours to complete and are prone to error. Putting AI to work on these stare-and-compare tasks frees up highly-skilled mortgage professionals to focus on creating value, enhancing the customer experience and expanding production rather than simply executing repetitive functions. Reduced friction equates to increased opportunity, for borrowers and mortgage professionals alike. If you remove that friction, and the underlying operational inefficiencies behind them, the home buying process will become much more fluid. A smoother, simpler process augmented by technology becomes one that can occur with more frequency throughout an individual’s life. And that opens the door to more innovation around products – loan products, technology products, credit products, and more – to support that increased frequency. I would imagine that, much like was experienced with automated underwriting, a frictionless process will result in more loans being made, and more jobs for skilled professionals using AI-empowered tools. Not only that, but it will result in more jobs across the housing spectrum. All in all, we’re going to be looking at a much more interactive, more fruitful marketplace. Q: The promise of AI in the mortgage industry seems incredible, but realistically, what sort of resources are required for an implementation of that level? SOOFI SAFAVI: The benefits of AI are not dictated by the size of an organization. In fact, mortgage industry players of all sizes can benefit from AI today. 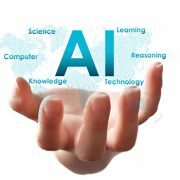 Black Knight’s own AI virtual assistant – AIVA – can be brought into an organization in much the same way as any other resource. An originator, or servicing shop, can “hire” AIVA to assist with specific functions or tasks. Much like any other employee, AIVA arrives for work with a certain skill set – it’s why she was hired in the first place. Of course, there is also an onboarding period where AIVA learns what is expected of her in this specific role, and is taught the specific process intricacies of a given organization, but after that, she is then deployed in the same way as any of the organizations other employees. And the skills she develops in the process become part of her knowledge base moving forward. Of course, at the enterprise level, when an organization’s operations reach across multiple verticals within the mortgage arena, the potential benefits increase exponentially. Rich, deep data is the fuel on which an AI runs, and the more data is available to AIVA, the more implementations become feasible. But it’s important to stress that AIVA is not something that is only available to the largest lenders or servicers, but it is a resource that can be made available to organizations of all sizes. AIVA is as applicable in origination as she is in servicing, or in other facets of the industry. Q: So an AIVA in every shop? SOOFI SAFAVI: Let’s back up a bit, because I think this will be helpful in painting the entire picture. At the point of origination, a great deal of information is gathered on a prospective customer. That information, or some subset of it, is of use throughout the loan lifecycle – from application, through origination, settlement, closing, servicing, and if need be, modification or default management. All of these different players are gathering and processing information, and there is a great deal of overlap. Each player in the mortgage process needs to receive a full file, and extract their own role-specific data from that document and then push it through their core system, to effectively complete their piece of the mortgage process. When you stop to think about it, for many of the players involved, roughly 60 percent of the information they need, or the calculations they make, mimic – or at least closely align with – activity the originator has already completed. Not only can an AI do that analysis and ascertain the 60 percent of information and analysis that has already been done, but it can go further. Rather than starting fresh each time, with the time and cost associated with these activities, those conclusions are presented by the AI, because it’s looking at the entire process holistically. Which adds to the unseen value. This points to the larger benefits of AI, its ability to learn. The more information an AI has at its disposal, and the more skills it is taught, the more places in the process it can add significant value. 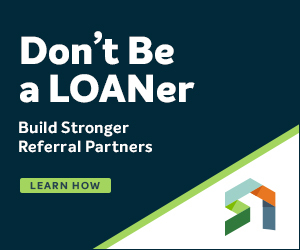 That same 60 percent share of information – perhaps more – that carries over from origination to, say, a title provider, also has value across the entirety of the loan lifecycle, to multiple players involved in the process. Not only can AI cut significant amounts of time from the process, it can also make data-based decision-making much more easily accessible for the all of the constituents involved. And that improves the process all across the board. Q: Any final thoughts on AI in the mortgage industry, particularly for originators? SOOFI SAFAVI: Black Knight’s first goal for AIVA is to drive down the cost to originate a loan by maximizing efficiencies and eliminating inefficiencies through the introduction of cognitive automation. Whereas today’s workflow orchestration engines do a fantastic job of increasing efficiencies by alerting users to tasks that must be completed – a bank statement or paystub has arrived and is ready for review – AI can proactively evaluatethat document based upon its understanding of the mortgage lexicon. It leverages that expertise – which is continually expanding via machine learning – and a deeper understanding of associated data/behavior to see if there are any red flags or missing elements and inject a sense of urgency in getting those things addressed. Orchestration engines exist to help humans work more efficiently. The intent of AI, and particularly AIVA, is to help them to work less on mundane tasks so their capacity grows. In short, work less, work better, by delegating some of the work to your virtual assistant. Then, the mortgage professional and his or her expertise shifts to verifying what the assistant has produced, providing the all-important human level of interaction our industry depends on. Other goals focus on improving servicing functions and creating actionable intelligence, for improved efficiency across a company. Ultimately, the name of the game is applied AI, not simply AI for AI’s sake. With applied AI, our goal is to bring cognitive automation to where the bulk of work and activity is happening. Our industry has come to accept a 45-day average mortgage cycle time, an $8500-$9500 average cost per loan, and the need for some 15-20 people having to touch a loan to get it through closing and beyond. What we’re trying to do is shake that acceptance and teach AIVA to automate the bulk of that work is being done. Again, rather than simply using AI for AI’s sake, we’re trying to introduce cognitive automation where it will have the biggest possible impact in terms of reducing cycle times and costs. And thatwill transform the mortgage industry. 1: The industry will face a human resources challenge, as it will become increasingly difficult to entice the digital native college graduate who leaves her smart home to commute to work in her self-driving car into processing underwriting documents all day long. 2: Technological innovation – and perhaps more importantly – adoption will continue to accelerate; expect more cutting-edge innovations. 3: Along the same lines – much of the technological innovation in the mortgage industry has been on low-hanging fruit (point of sales systems, etc. ); we will see innovators begin to tackle the more complicated parts of the process. Despite all the recent discourse about AI, this technology is certainly not new. There are countless examples of AI use over the past several decades, including the reliance of commercial jet flights on AI to power autopilot, and internet bots that index web pages. But the more recent interest, innovation and investment in AI are due to a combination of factors – including greatly increased computational power, big data, greater infrastructure speed and scale, open source technologies and advancements in machine learning techniques. And today, the mortgage industry is able to reap the benefits of this incredible technology. For example, HeavyWater, which was recently acquired by Black Knight, is a provider of AI and machine learning-based capabilities specific to the financial services industry. The company has already built a platform that completes business tasks using synthetic read-and-comprehend analysis and conclusion skills, and applied these capabilities to the loan origination process. The terms “machine learning” and “artificial intelligence” are often used interchangeably, however, there is a distinction between the two. Using a very broad definition, artificial intelligence replicates human reasoning through learning, problem-solving and pattern recognition. Machine learning is a subset of AI and is a process by which AI deepens its knowledge through continually performing tasks and processing information. Let’s consider a simple, industry-specific example. AI-powered machine learning enables technology to “remember” standardized forms. For example, it can review thousands of paystubs and determine exactly where the pertinent income data is located. When the system comes across a paystub that presents an anomaly, it will apply its previously gained understanding to infer the location of the income data needed. Once the technology receives feedback that its inference was correct, it incorporates that information into its knowledge base. The next time it comes across that type of paystub, the system will automatically know where to find the pertinent data. Machine learning also leverages big data to gain insights. The more data that is collected and reviewed, the better machine learning solutions become at making predictions. AI and machine learning already can make a difference in two of the biggest challenges faced today by mortgage originators: costs and cycle times. With the ability to read, comprehend, and draw conclusions based on context, AI and machine learning can perform operational functions more efficiently and at scale. 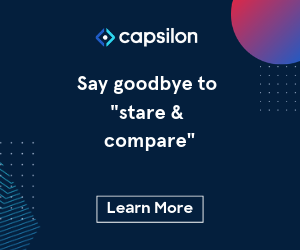 In fact, machine learning can work on many of the labor-intensive, “stare and compare” tasks performed by humans – such as verifying income, assets and insurance coverage. Machine learning is used to perform these manual activities much faster and more accurately than humans – a task that takes employees hours to complete can be reduced to just seconds with machine learning. 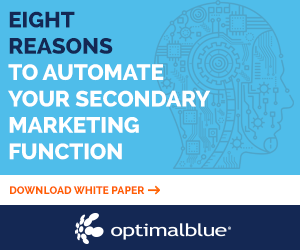 By automating manual routines, machine learning not only expedites the origination process, but also increases volume. While humans can only work a certain number of hours before mistakes begin occurring, machine learning has no limits to the time or energy it can spend performing these tasks. By increasing loan processing volume and reducing mistakes, imagine how machine learning can drive down origination costs – and risk. AI-powered systems enable processors and underwriters to dedicate more time to addressing exceptions and solving problems, which will improve transaction turn times. Also, AI can help avoid last-minute delays by prompting a lender’s staff to take early action when there is an issue, keeping the origination process moving forward. Additionally, by delegating work to AI-powered technology, a lender’s staff can focus on delivering a more positive and personalized consumer experience. As AI and machine learning are used to perform manual, repetitive tasks, allowing mortgage professionals to work on more value-added responsibilities, lenders can increase their focus on their company’s growth strategies. As they scale and reduce the cost per loan by keeping staffing levels flat, lenders can invest more in product development, marketing, infrastructure, and other growth-oriented initiatives. AI can also leverage visual recognition to image and index a wide variety of documents that are typically reviewed by processors and underwriters, such as tax returns, W-2s, property titles and appraisals. A lender could even use AI and machine learning to better manage vendors. Based on past performance and cost, AI could provide recommendations on which vendors would be optimal for each loan going through the origination process. Voice-integrated AI brings further opportunities to create efficiencies. This technology could look at information under review, evaluate results and automatically employ interactive communication bots to advise employees of any issue that may need attention. Additionally, via a conversational interface, processors and underwriters could ask for information they need – just as we use virtual assistants like Apple Siri, Amazon Alexa or Microsoft Cortana to get answers. 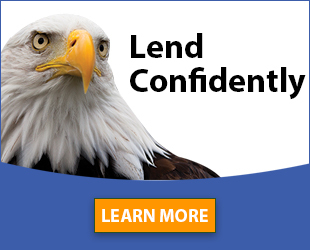 These capabilities certainly could help move a loan through the origination process faster. Of course, most of us have experienced first-hand how AI is applied in retail to deliver a more personalized consumer experience. For example, when we shop online, we receive targeted product recommendations the next time we visit that site; or receive faster service though chat bots. To help personalize and enhance the borrower’s experience, lenders can leverage voice capabilities. A mortgage virtual assistant that engages customers by answering questions, walking them through the application process and even offering advice could be employed using voice-integrated AI. When the subject of AI in the workplace is discussed, it inevitably raises questions about its impact on jobs. Will jobs be lost as a result of these technological advancements? There is no perfect answer to this question since the utilization of AI is different from company to company. But, it seems certain that future skill sets will be required to support this shifting technological paradigm. As it applies to the mortgage industry today, however, AI can enable professionals to spend less time on remedial work, becoming knowledge workers instead of task executors, and provide additional value to a company. AI and machine learning offer tremendous potential to advance the mortgage industry, and we are just beginning to experience the technology’s capabilities. As AI-powered systems ingest more data and perform an increasing number of tasks though machine learning and other techniques, the possibilities are unlimited. Imagine the power of AI as it learns to handle the entire point-of-sale process and speaks to an applicant directly through a mobile phone; or as it systematically searches a lender’s portfolio for qualified prospects and offers a customized home equity loan or line of credit, and so on. As we all know, the average cost to originate a mortgage loan is exceptionally high – today it is nearly $8,500 according to the Mortgage Bankers Association’s Quarterly Mortgage Bankers Performance Report, and the typical time to close a loan is 41 days. Any opportunities to reduce costs and increase process efficiencies will add value to lenders and consumes. What’s more, the transformative power of AI doesn’t stop in the originations space. Servicers will also be able to reap the benefits of this advanced technology. For example, the technology could learn how to detect risk and any compliance issues before they occur, enhance loss mitigation decisioning, provide voice integration capabilities to help staff work faster and smarter, and so on. What’s amazing is that these examples only scratch the surface. Of course, human interaction will always be needed to originate and service loans, as people will still decide how they want to leverage technology and determine the problems that must be solved. Humans must also still play an active role in loan decisioning, identifying which kind of data to consider and determining risk appetite. Furthermore, research indicates that despite all the advances in point-of-sale technology, consumers still want the comfort of human interaction at some point in the process of purchasing what is most likely their largest and most important investment. AI and machine learning offer great promise and will likely usher in a new era of production excellence. 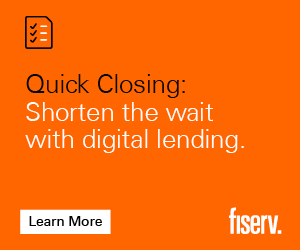 Lenders that take advantage of this advanced technology will be choosing a bold new way to address origination costs, improve turn times and transform their origination processes to support a brighter, more successful future.